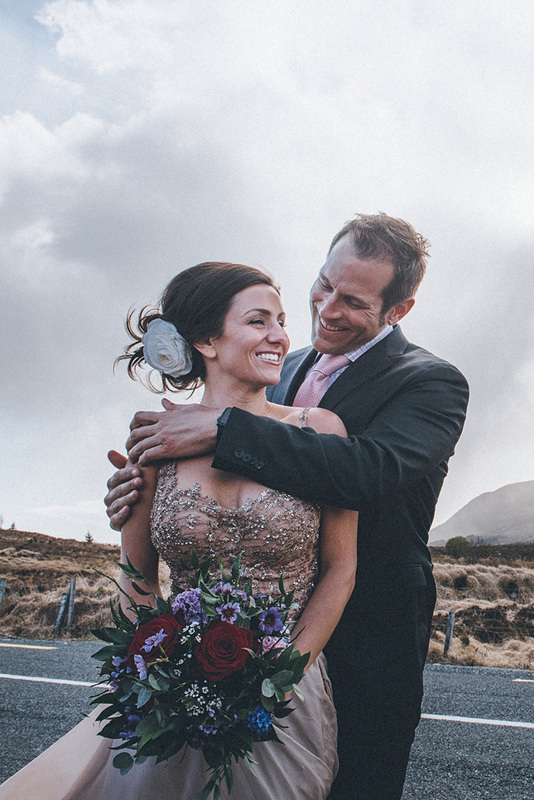 Wedding-planner Bonnie took a very different approach to her wedding. 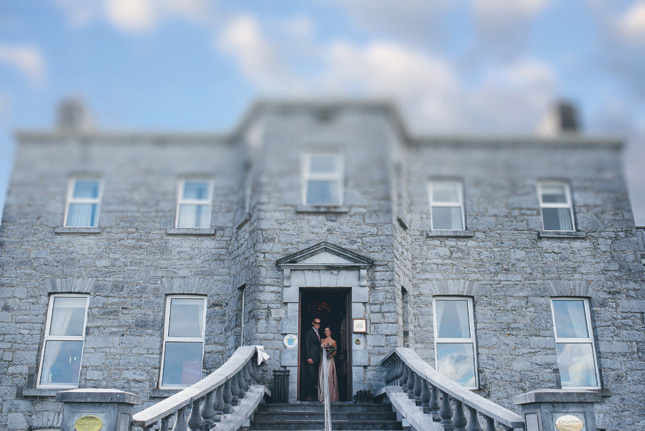 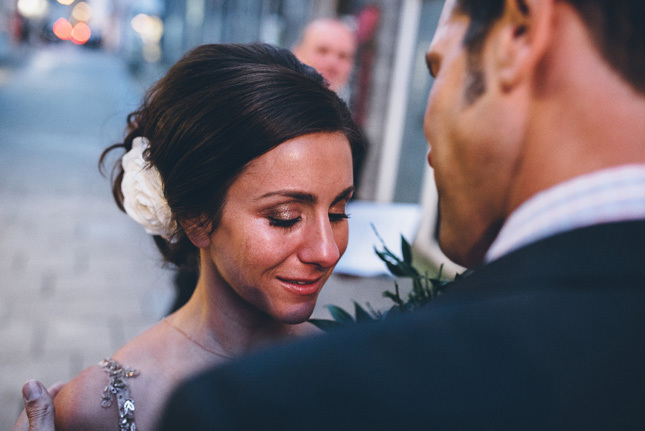 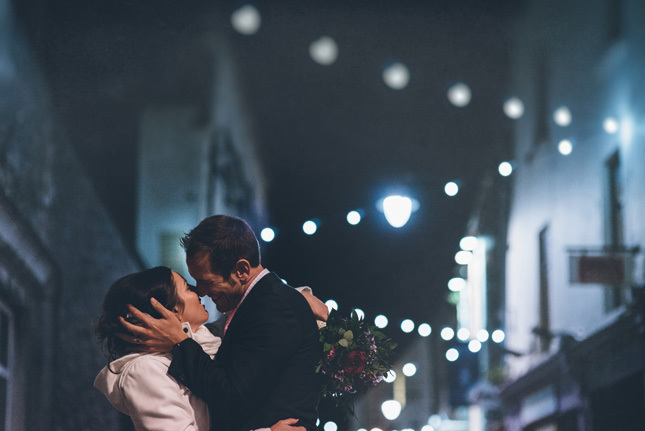 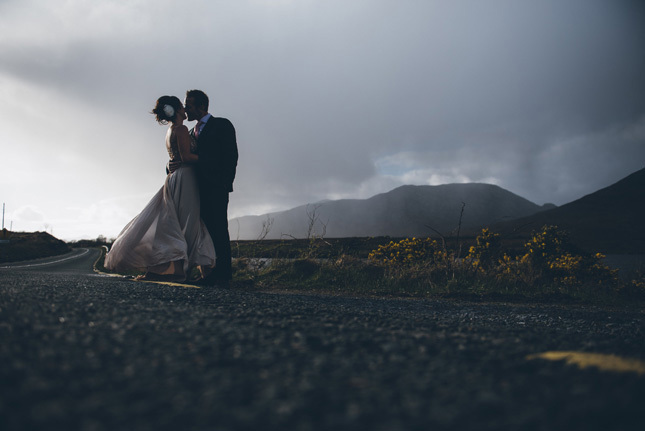 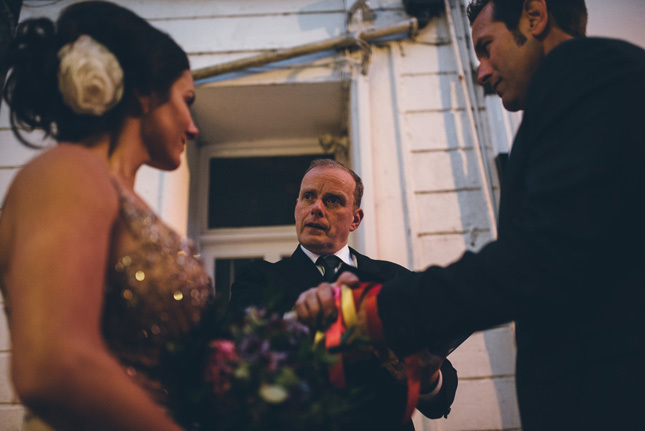 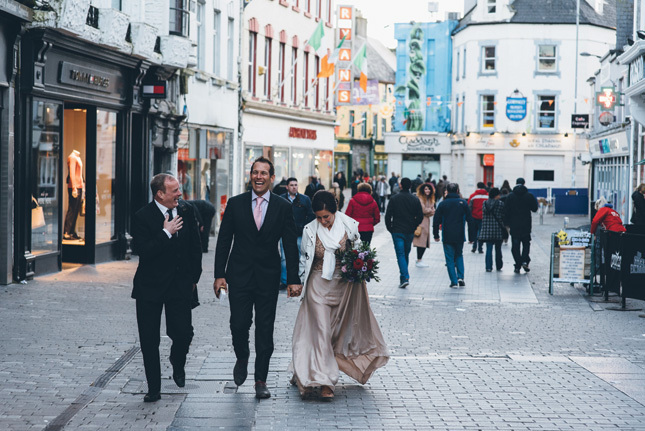 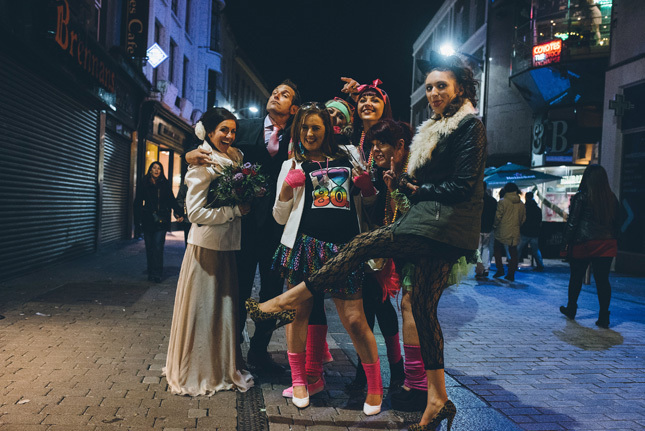 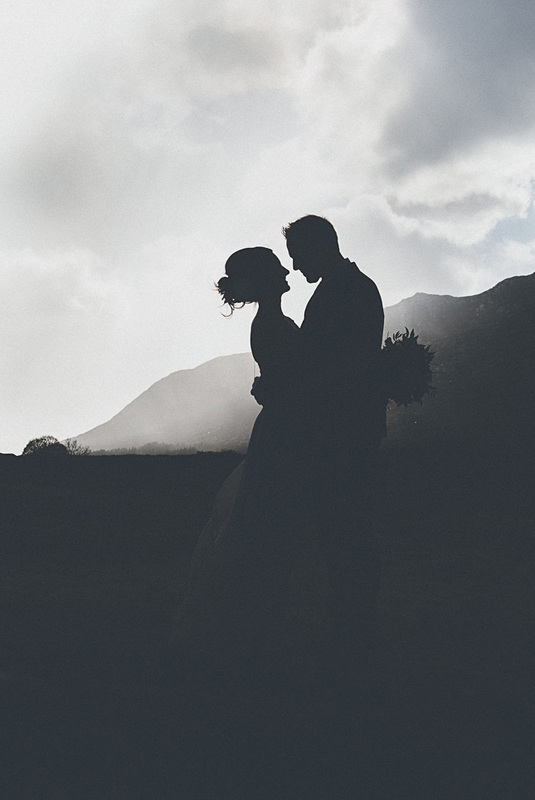 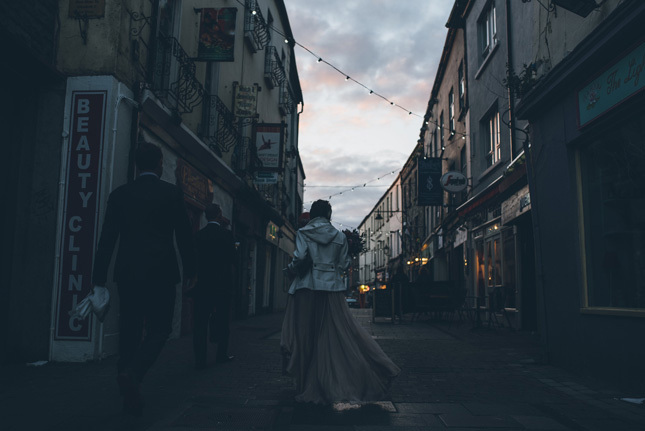 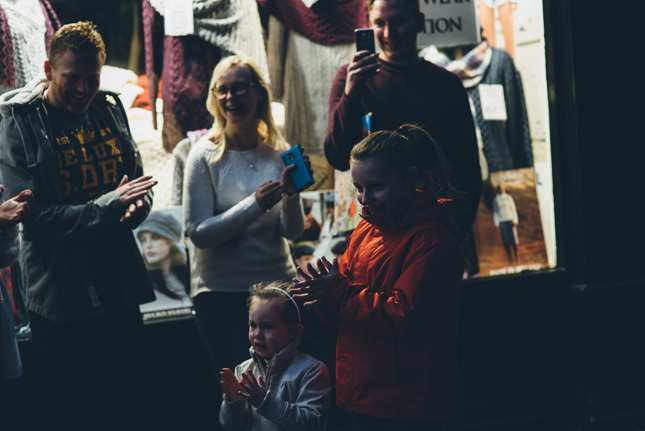 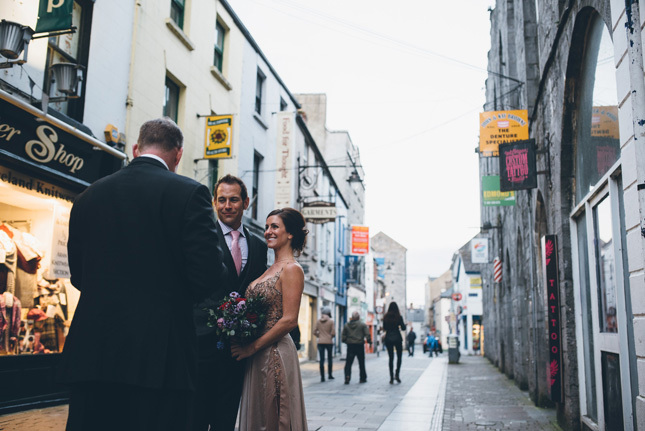 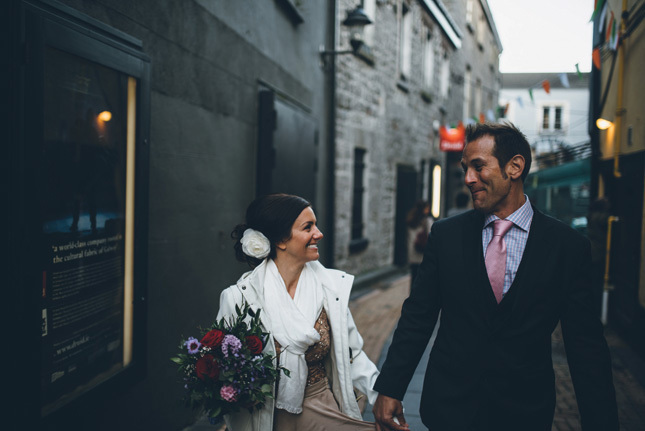 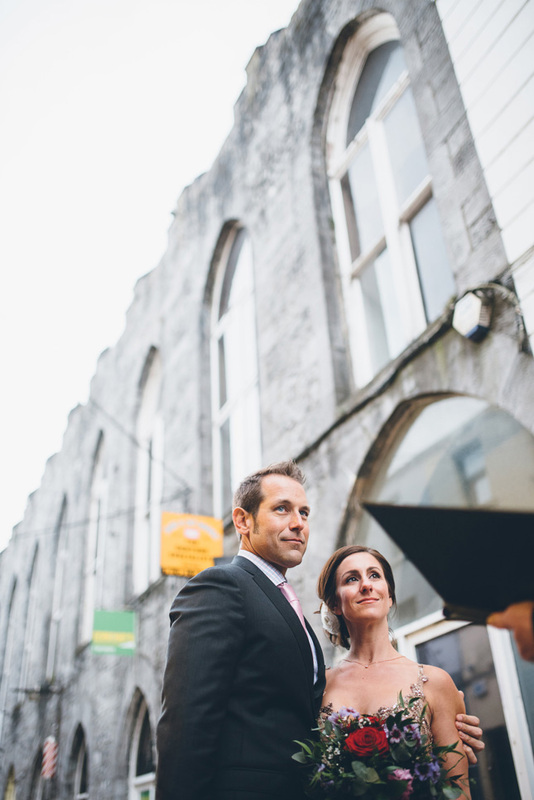 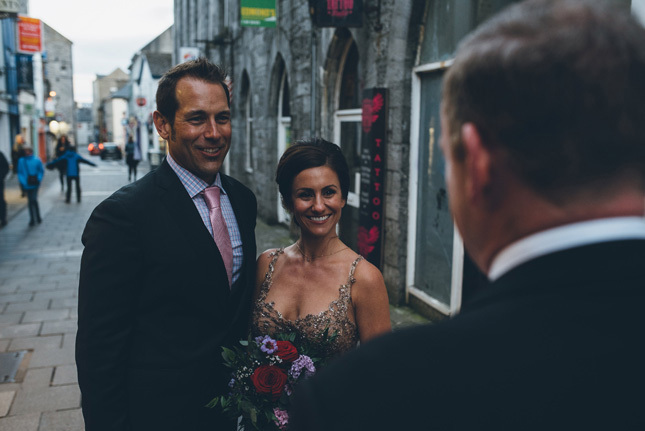 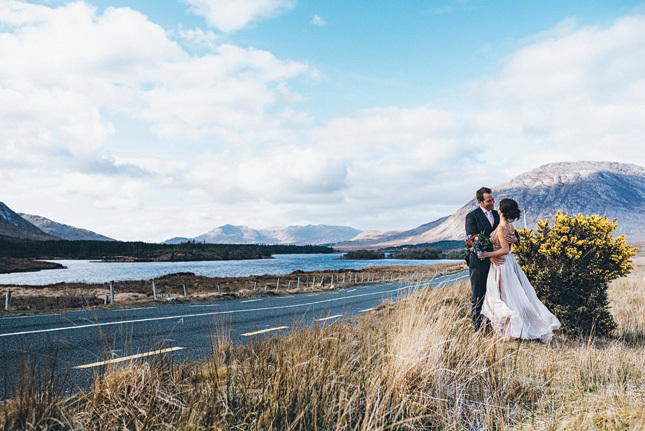 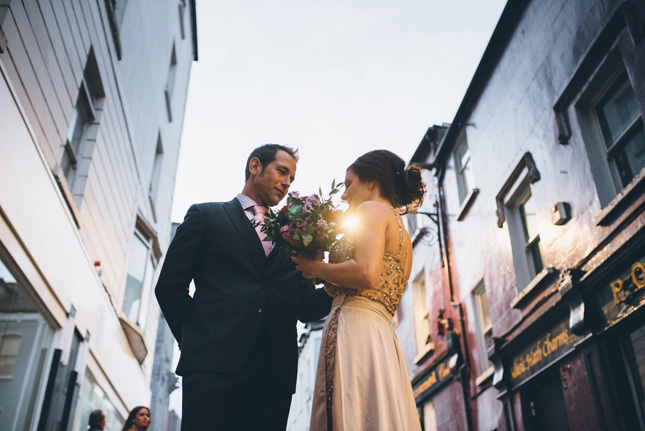 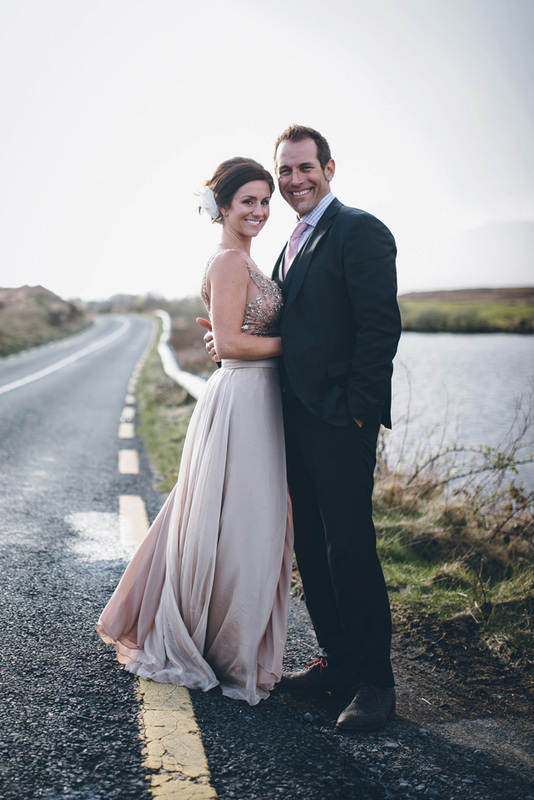 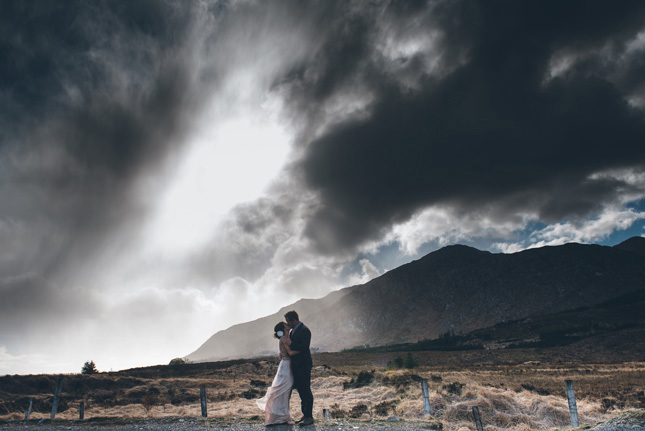 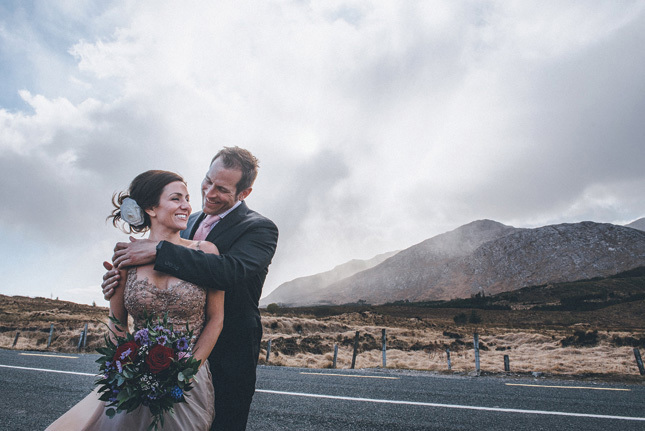 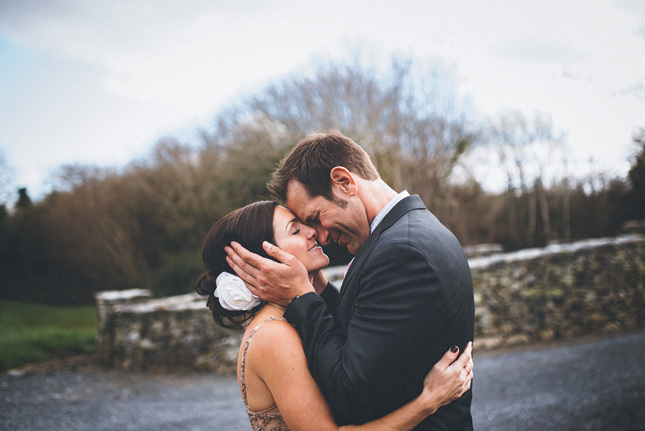 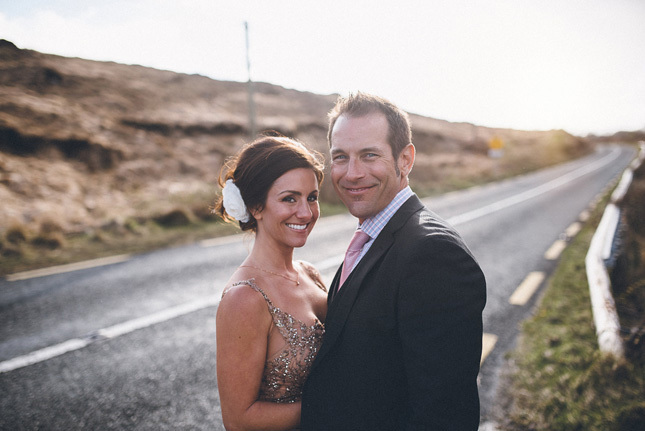 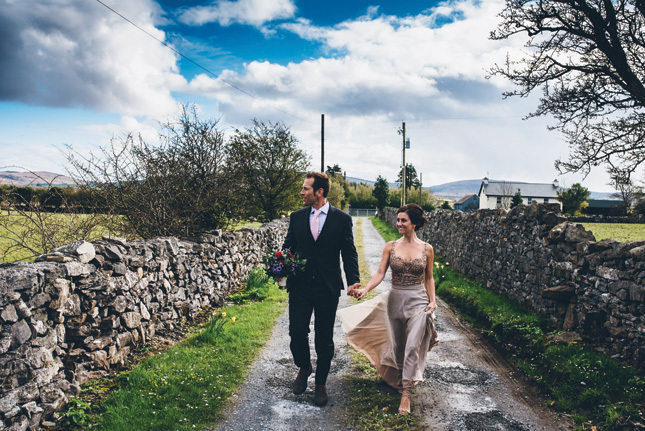 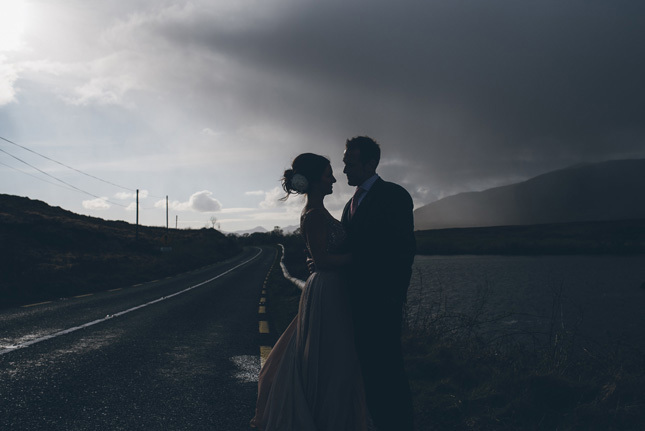 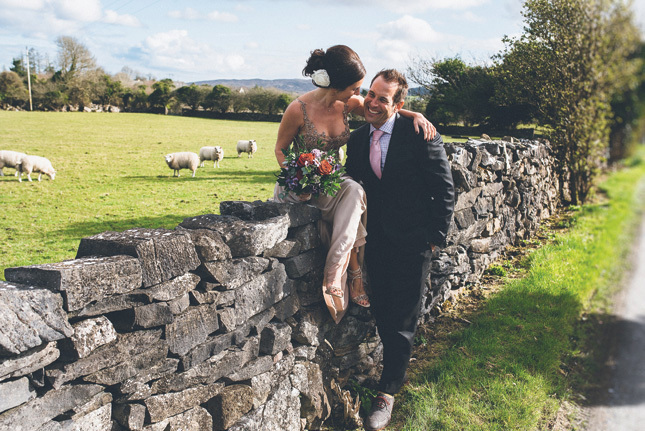 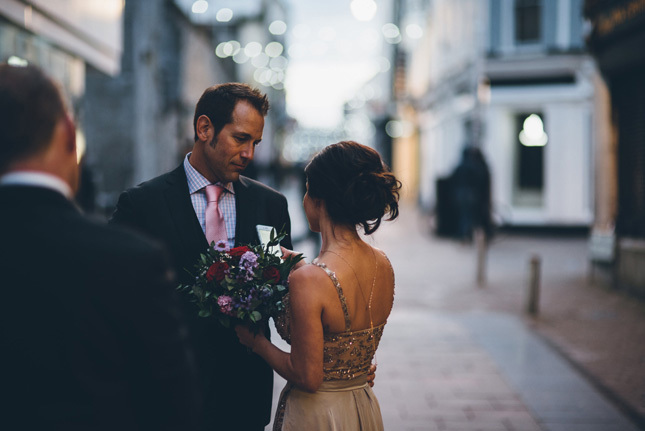 Check out this fairytale elopement on the streets of Galway city. 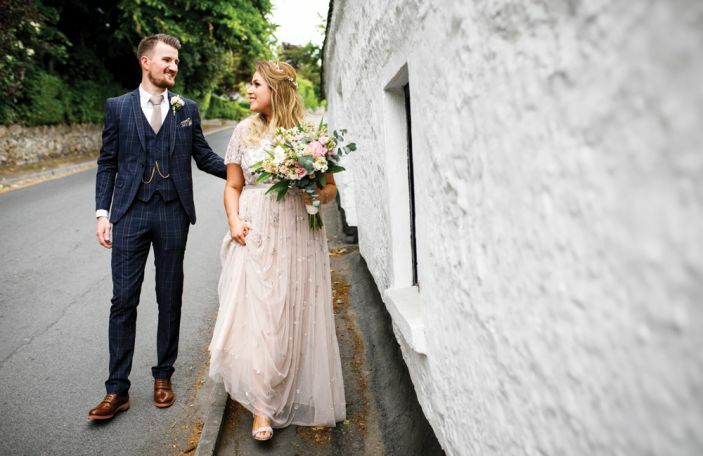 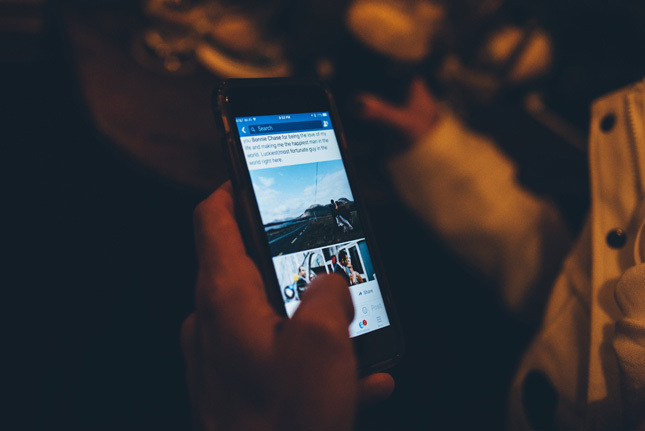 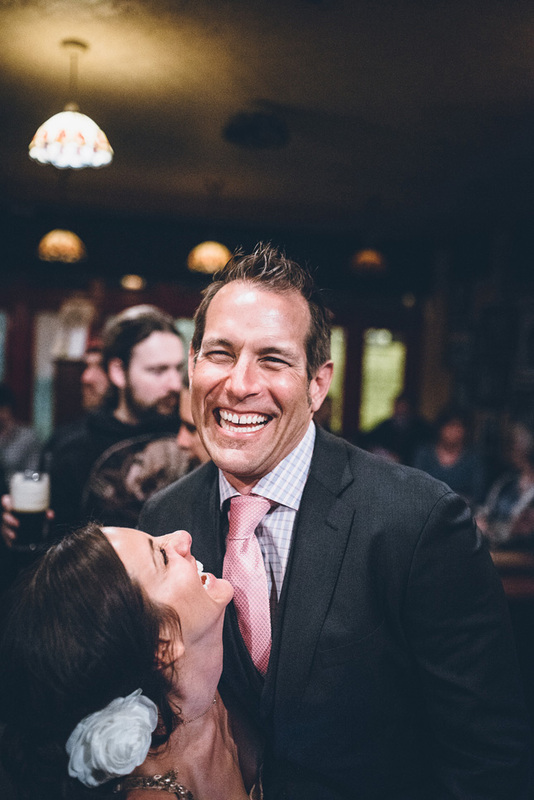 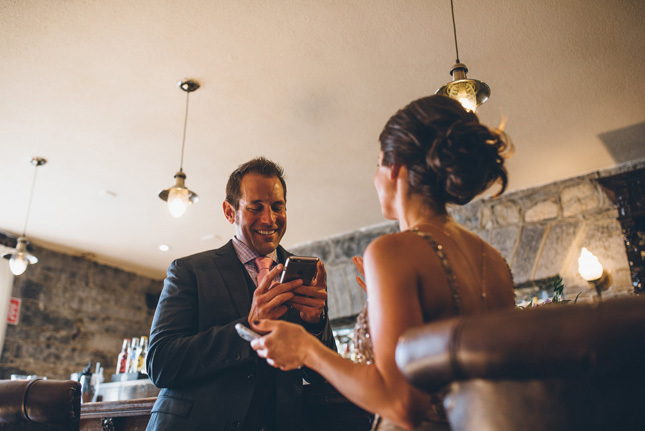 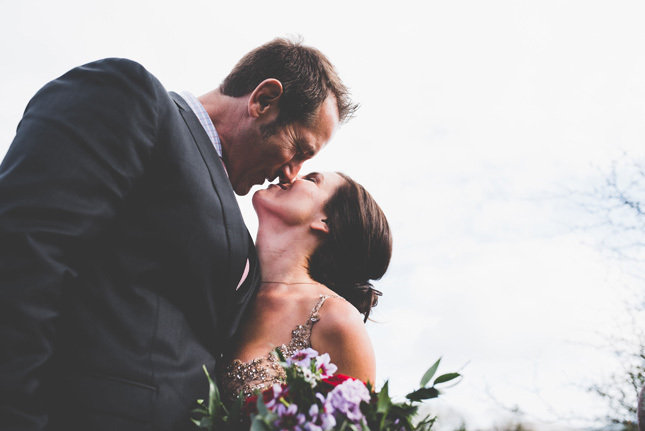 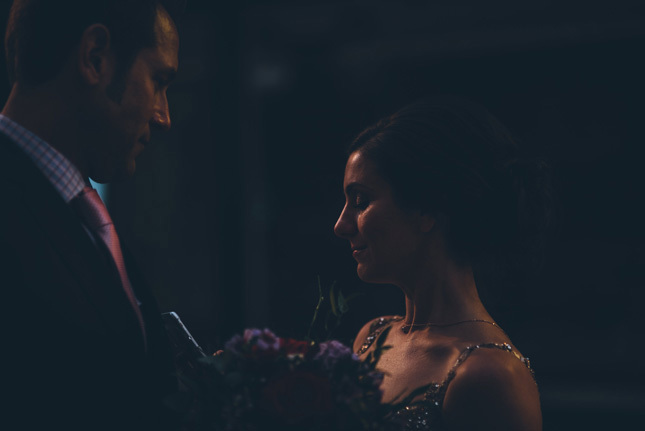 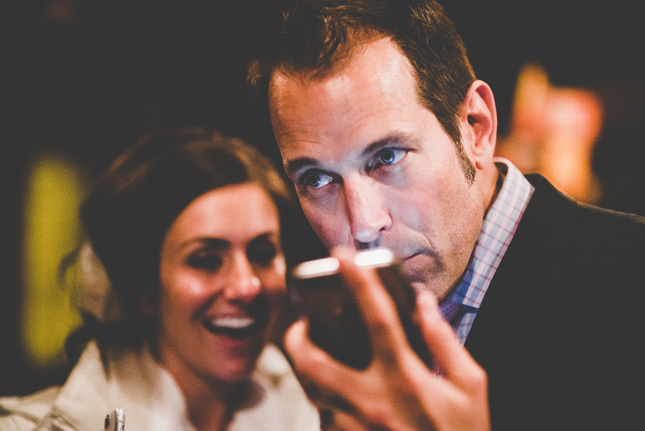 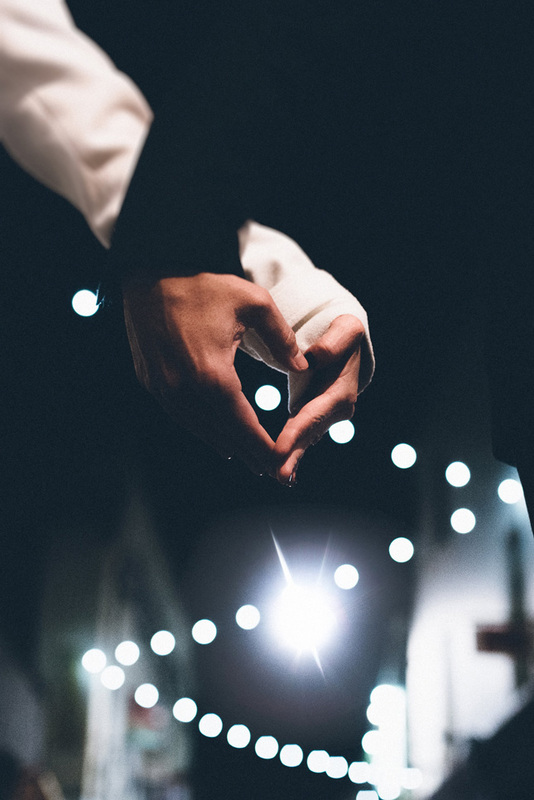 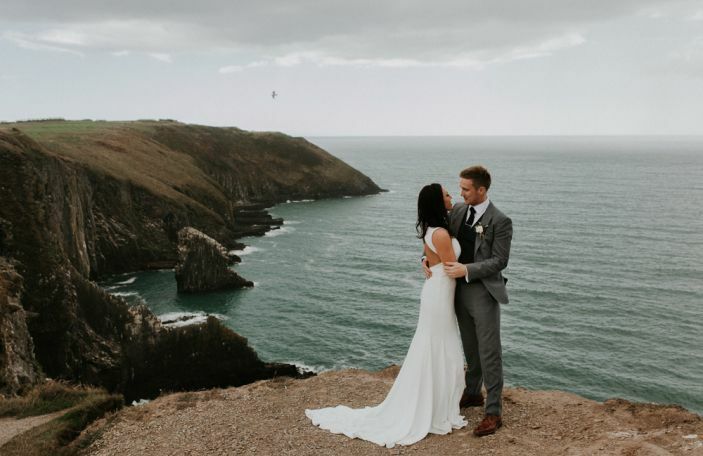 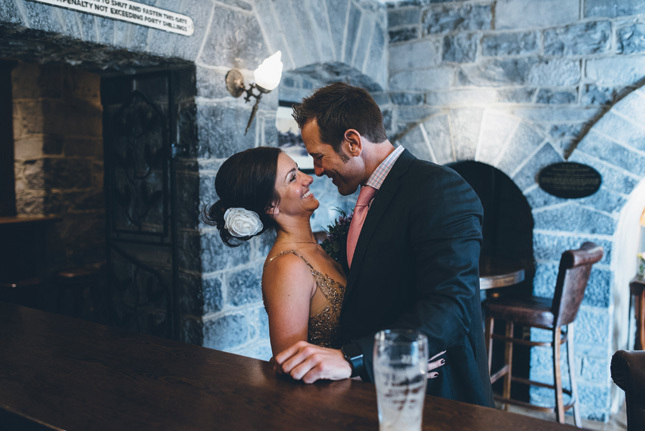 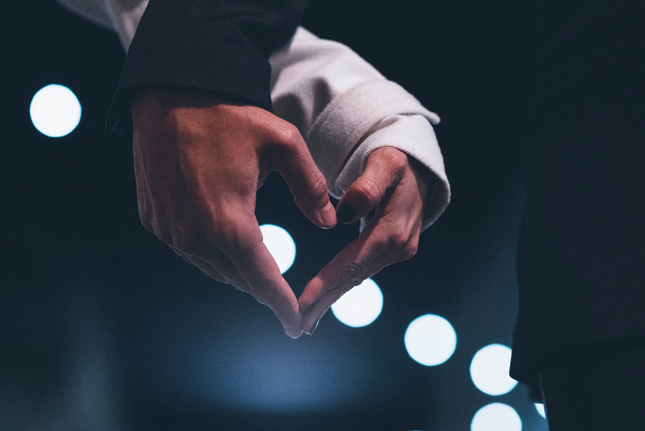 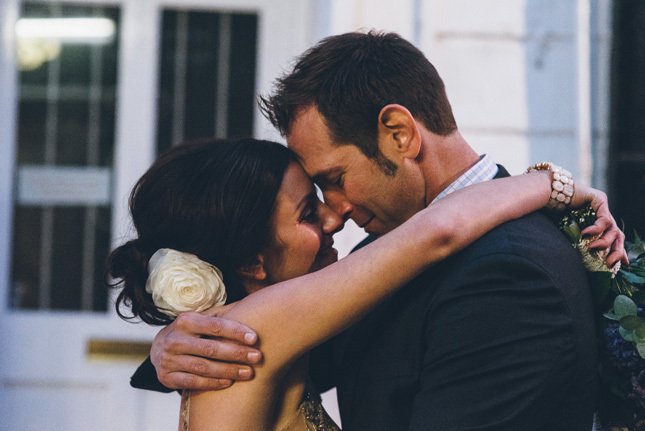 Bonnie and Matt met through a mutual friend and had an instant connection. 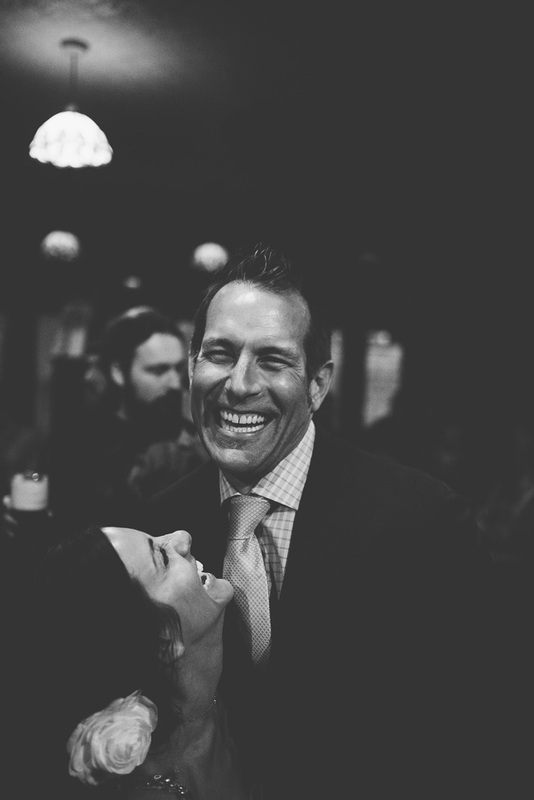 "Matt says he knew he wanted to marry me the first day he met me," laughs Bonnie. 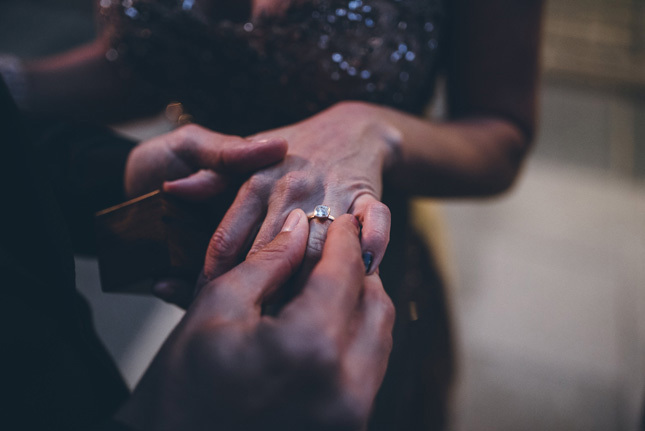 "We had hundreds of proposals, so I can't really say which was the 'official' one. 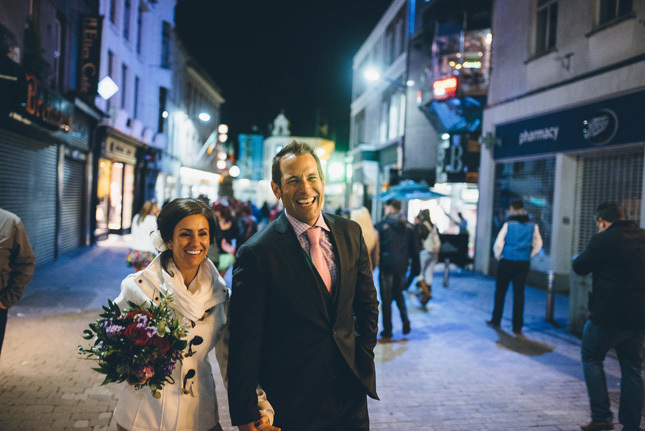 Matt asked me at least a few times a week to marry him. 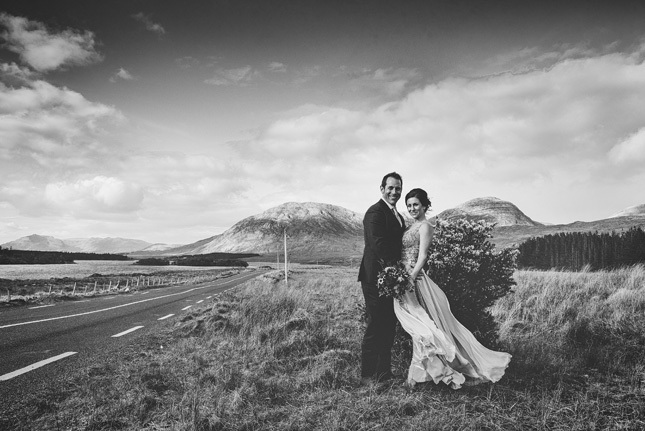 I always said yes," Bonnie continues. 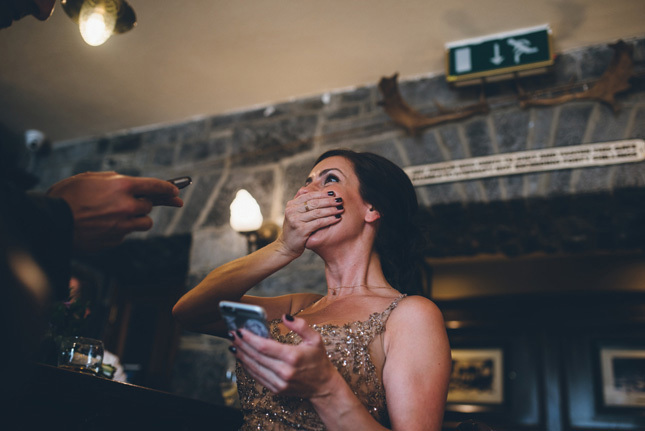 But wedding planner Bonnie didn't have the traditional wedding you would expect - far from it, actually. 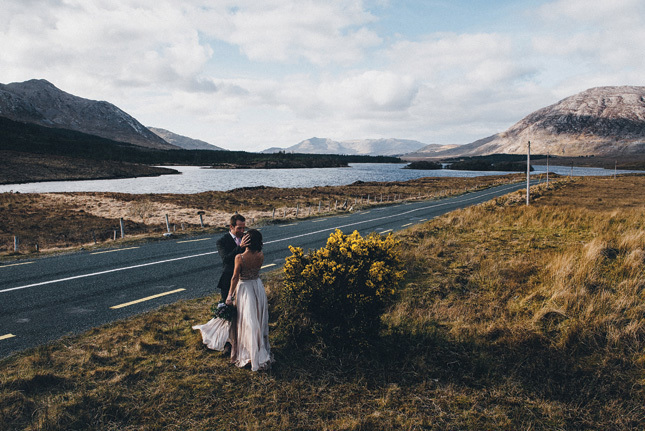 "We didn't have a venue. 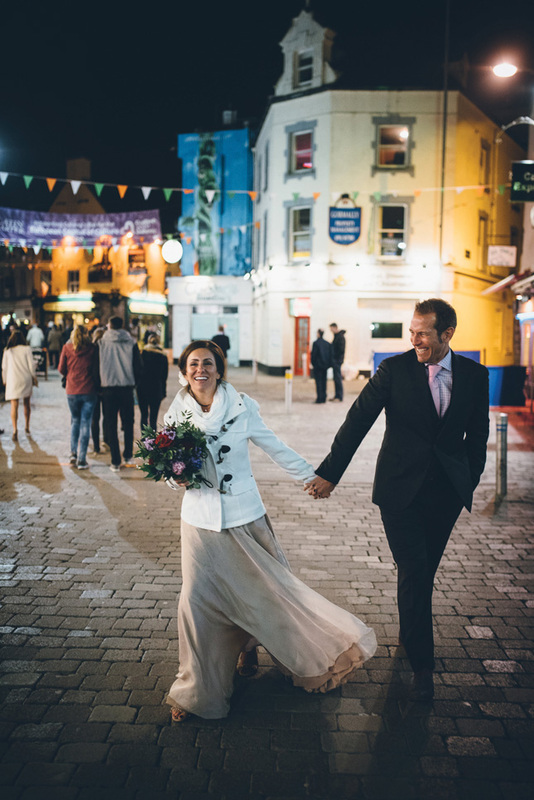 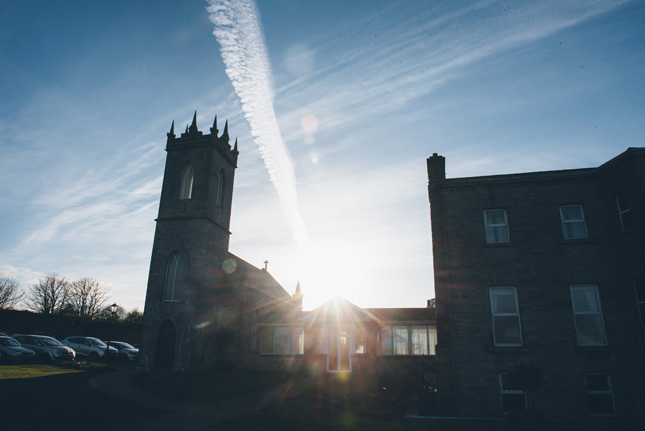 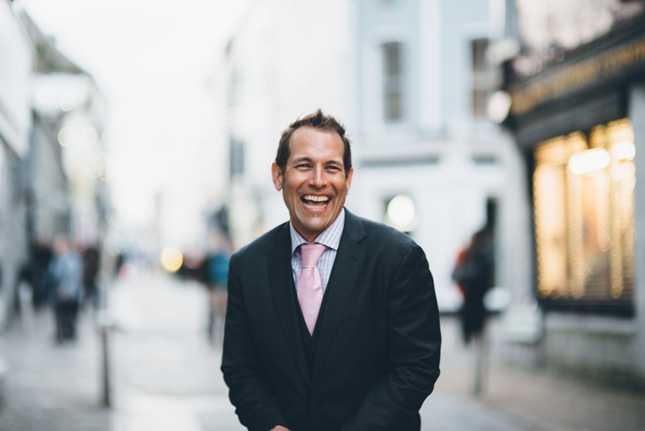 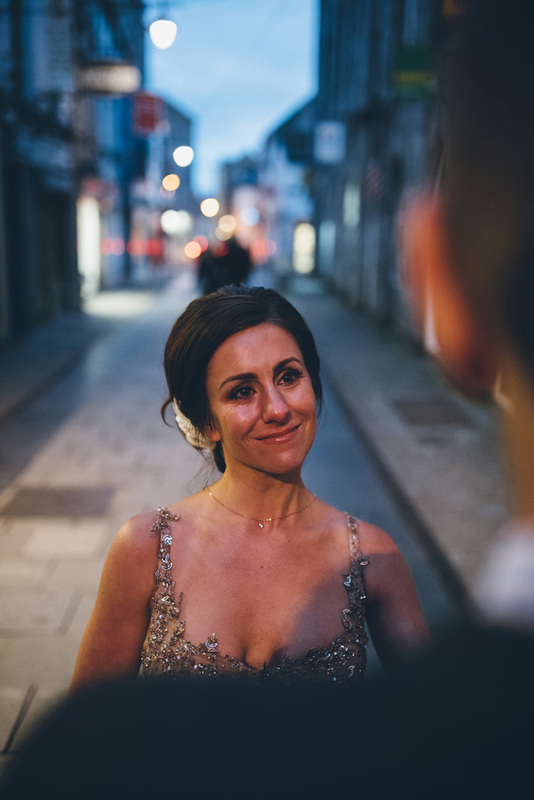 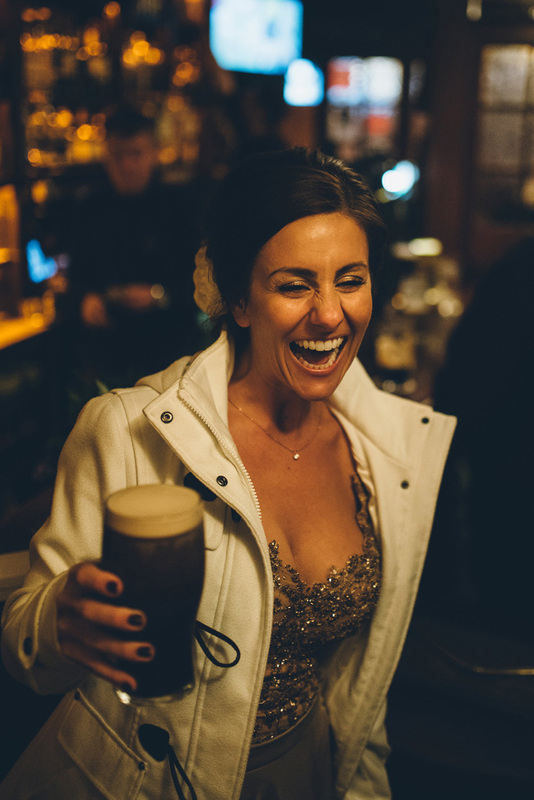 We wanted this wedding to be very simple, so we decided that we would find a beautiful street in Galway, and just get married right there. 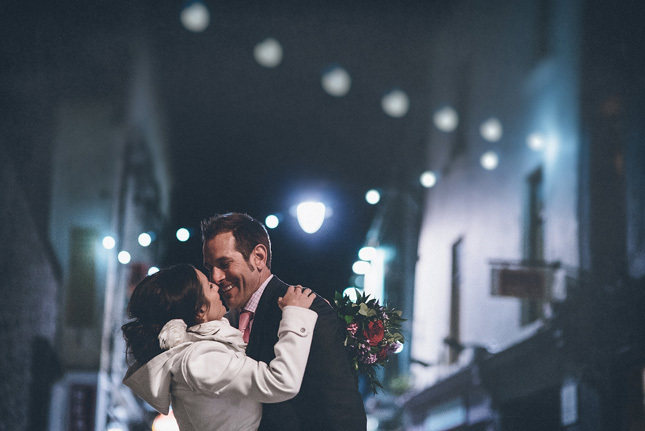 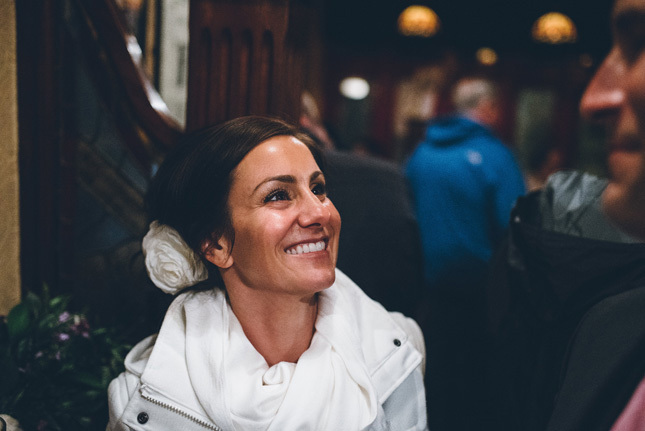 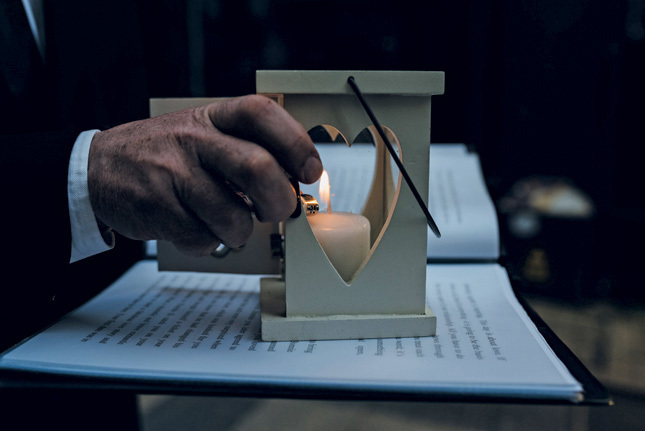 We were very lucky because we found a perfect little spot with beautiful lights, lovely old buildings, and if that wasn't enough, there was music that couldn't have been more appropriate if we had planned it that way," says Bonnie. 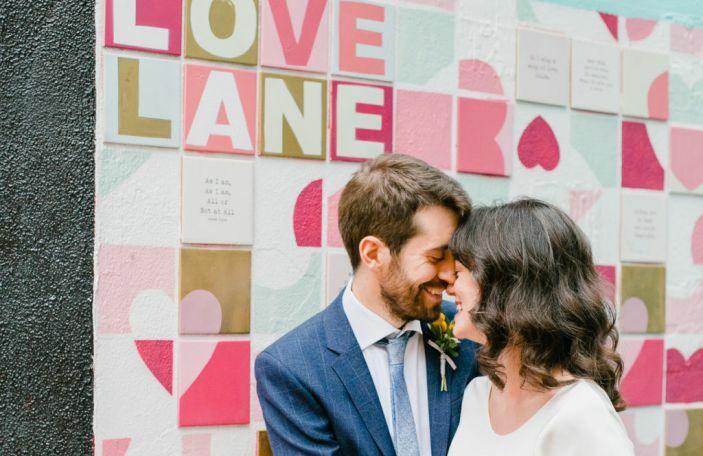 Despite being a wedding planner for a living, Bonnie and Matt did very little planning when it came to their own wedding. 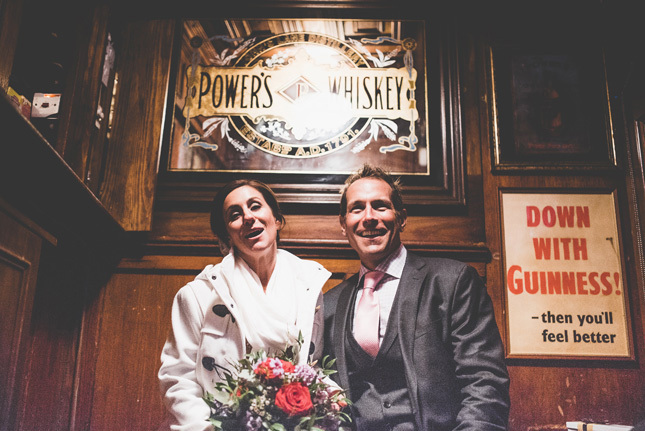 "We didn't do much planning. 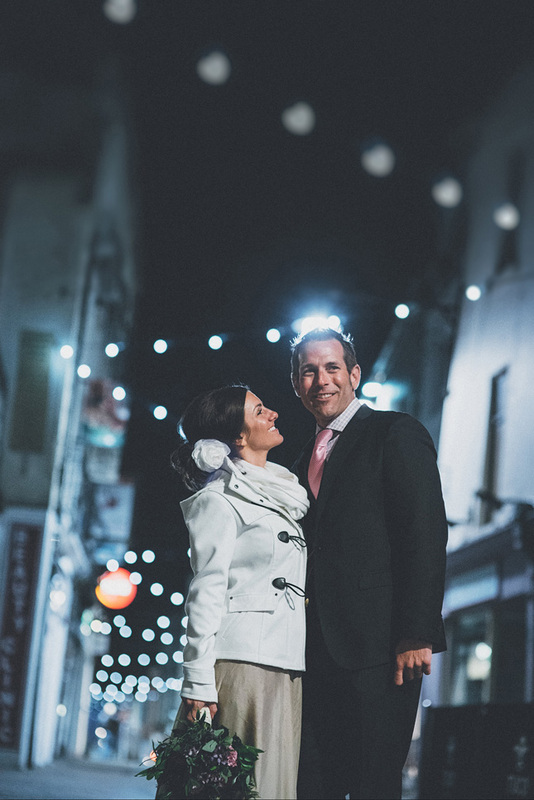 We were extremely fortunate to have found John and Anne Marie Gillooley from Jam Shoots Photography - they were fantastic! 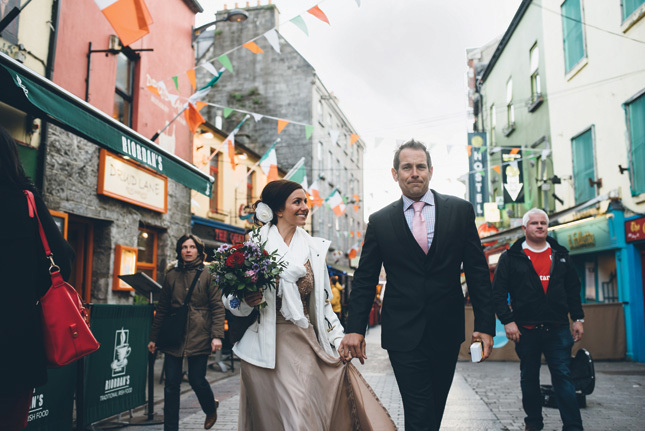 We also had a really wonderful officiate named Ciaran from Marry Me Ireland. 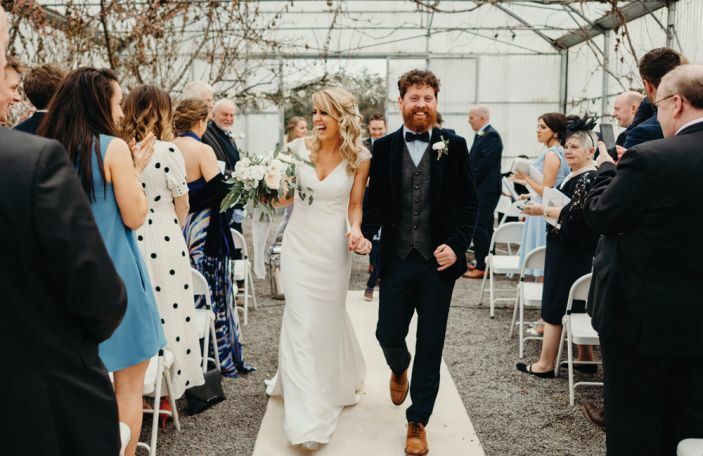 Most of the planning was regarding my dress, which was custom made by Florida designer, Gena Cristiani, who is nothing short of fabulous!" 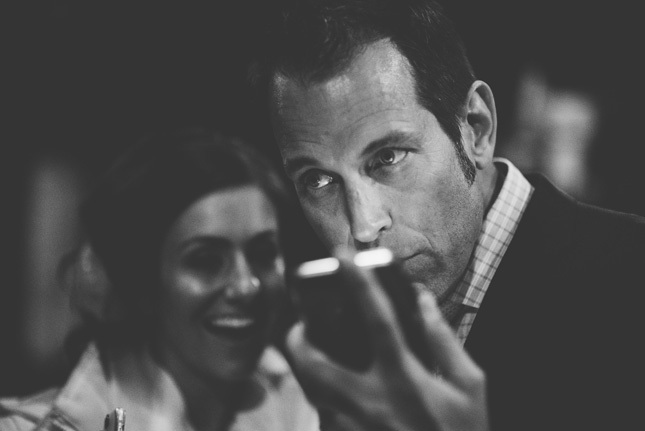 - We can tell. 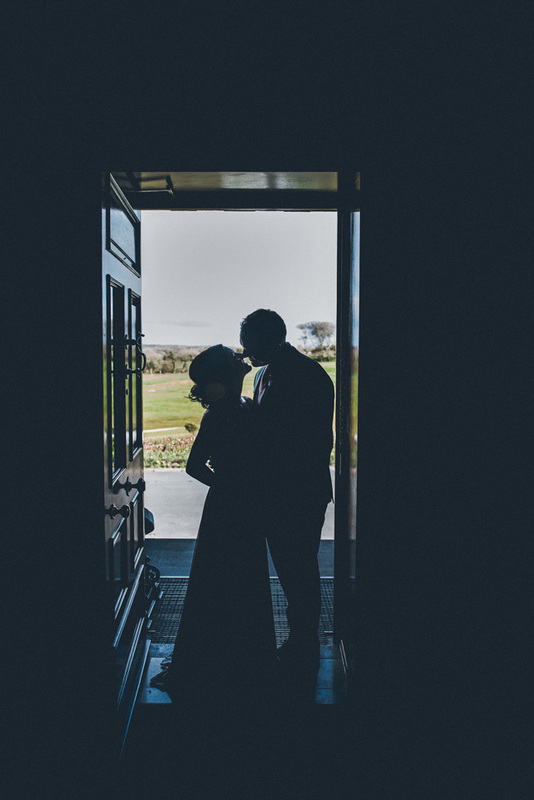 On the morning of the wedding, super relaxed Matt headed off for a couple of rounds of golf. 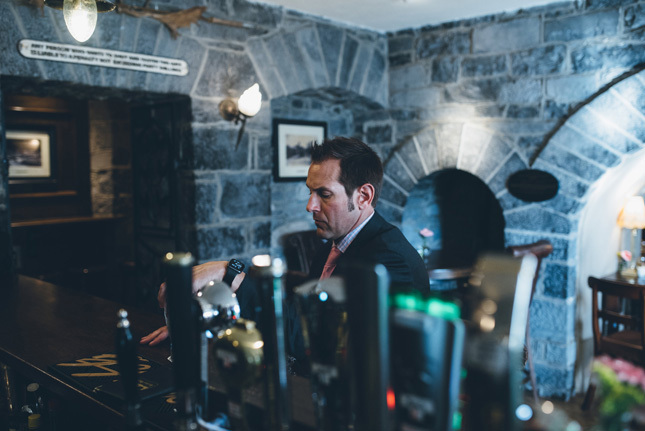 "Matt golfed nine holes with a bartender he had met the night before in a pub. 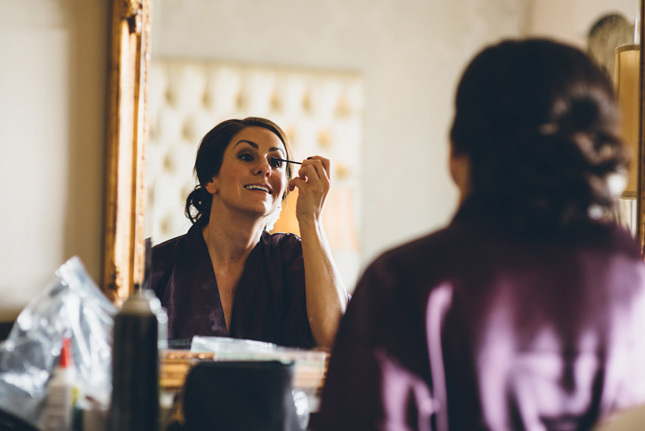 We got ready together in our room, with John and Anne Marie popping in for some 'getting ready' shots. 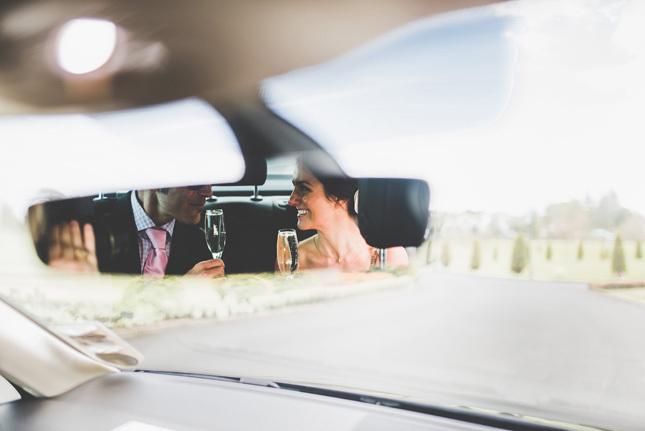 We also face-timed our families before hopping into the car to do some pre-wedding photos. 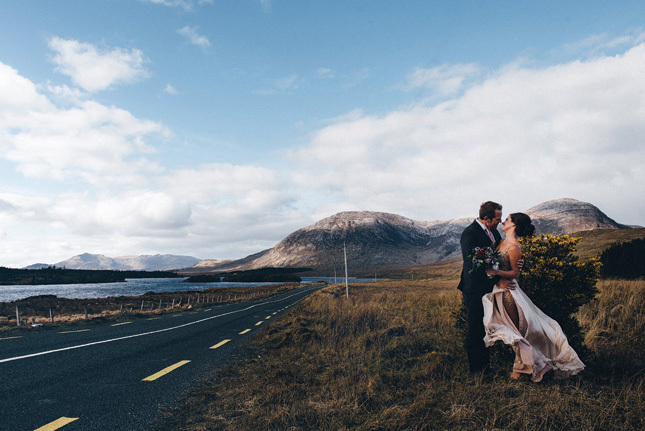 John and Anne Marie drove us out to this breathtaking spot on the road to Connemara, where we took some photos. 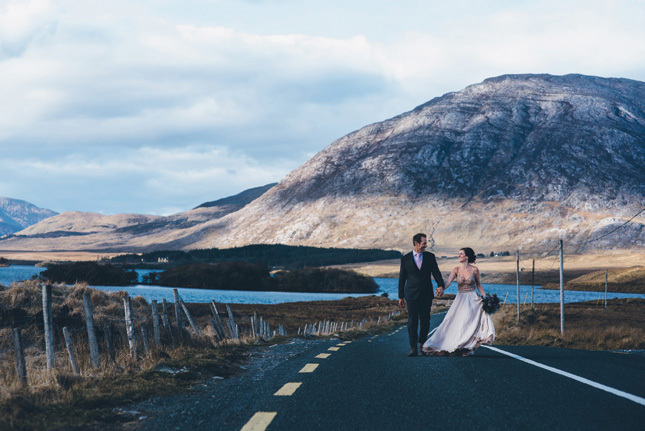 We actually stopped along that road several times, hoping to get a sheep in our photo," says Bonnie. 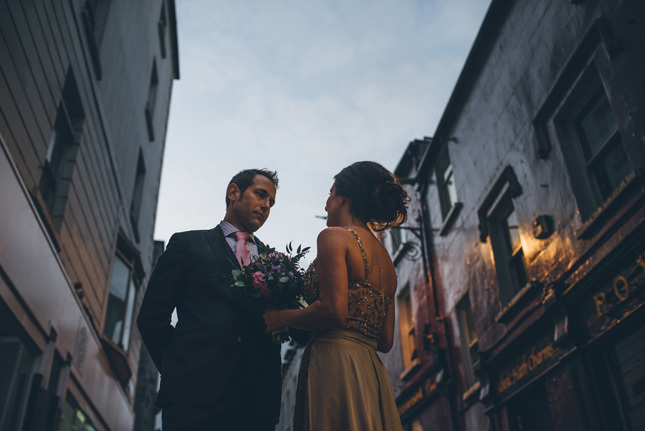 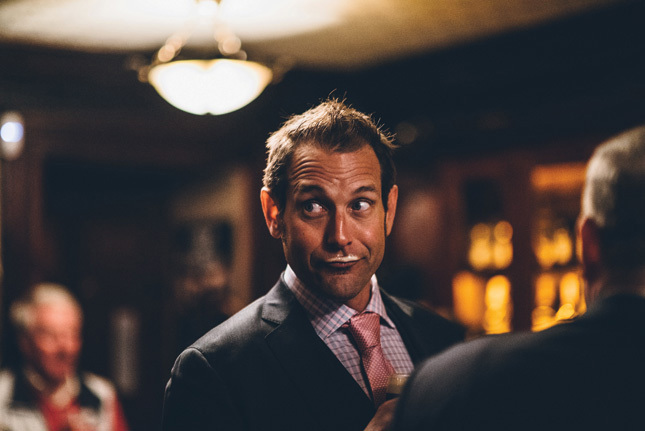 Bonnie and Matt's relaxed wedding day went pretty smoothly...well almost. 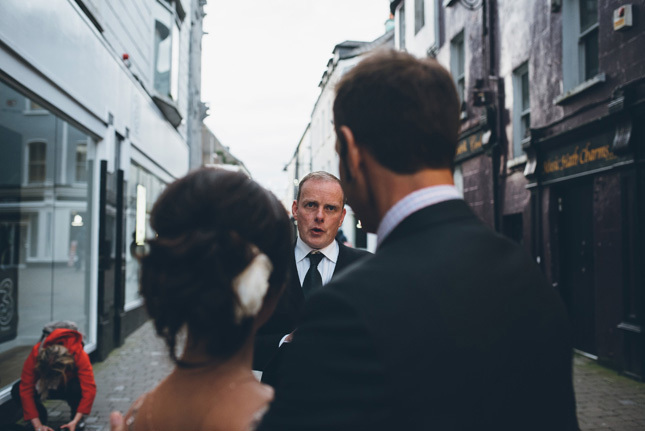 "Nothing went wrong really, except that we missed our dinner reservation! 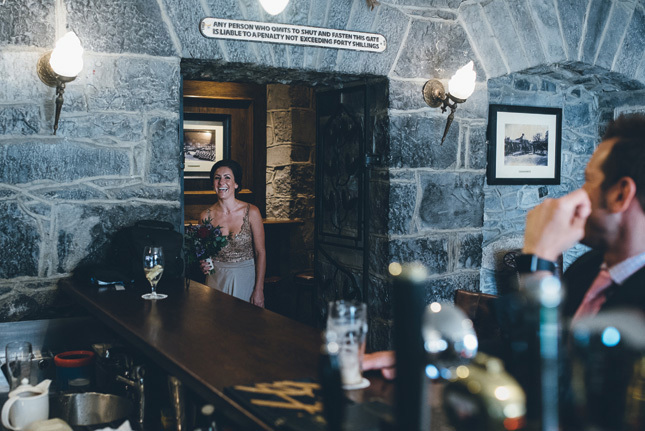 But we ended up having pizza in a little hole-in-the-wall place that we happened upon, and it was actually really nice. 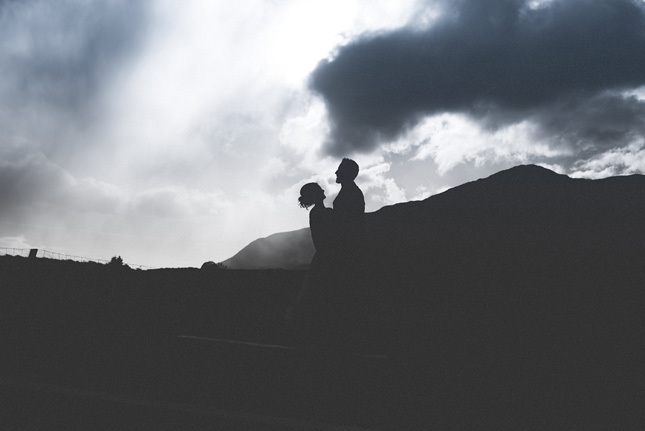 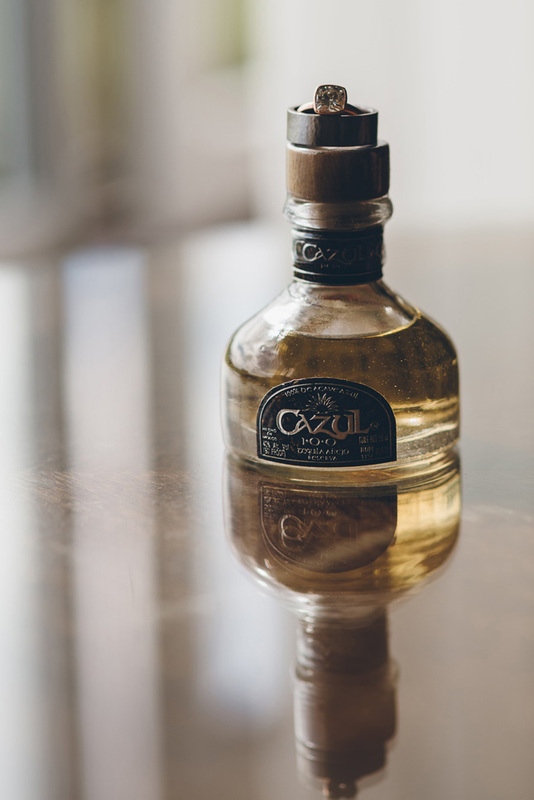 I'd miss the reservation again if we had our time again." 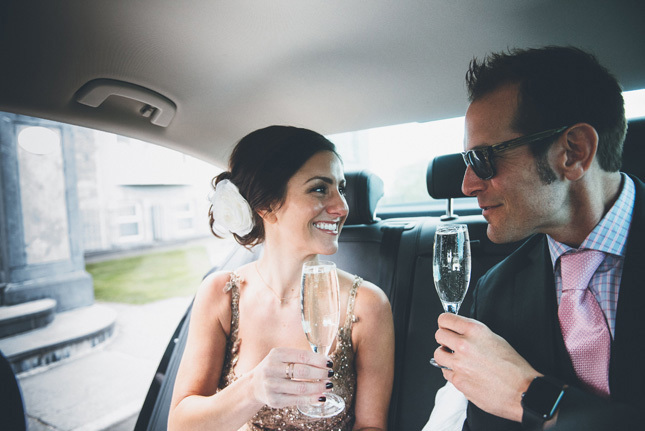 What advice would Bonnie and Matt give to future brides? 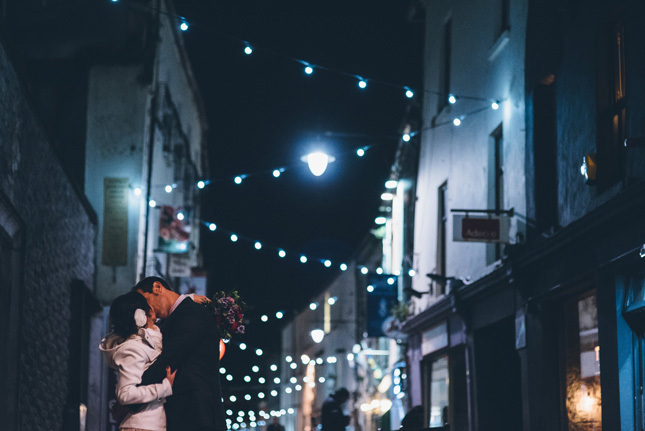 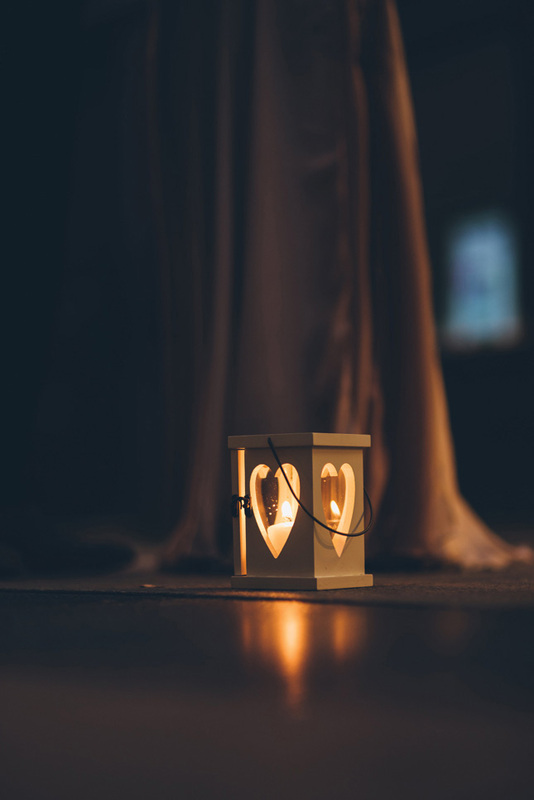 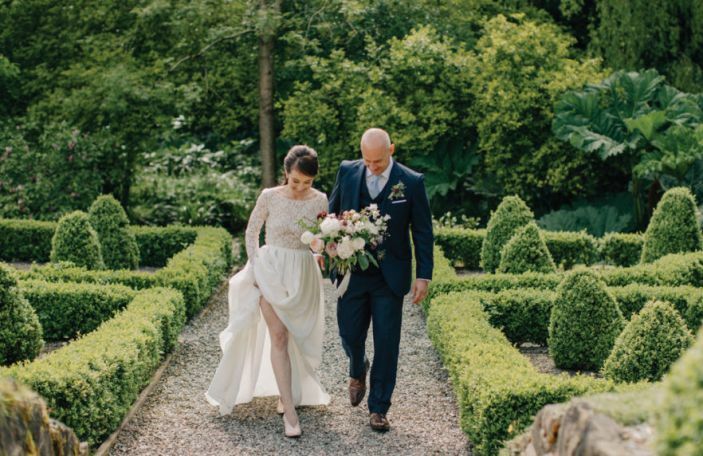 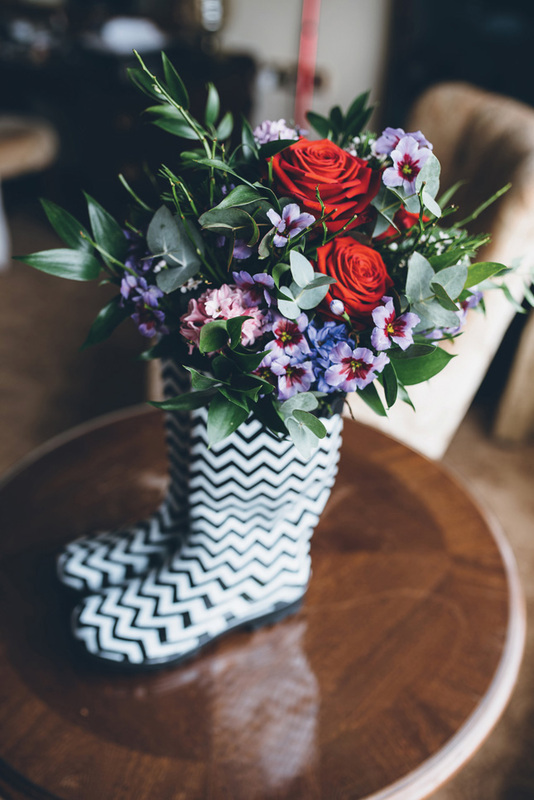 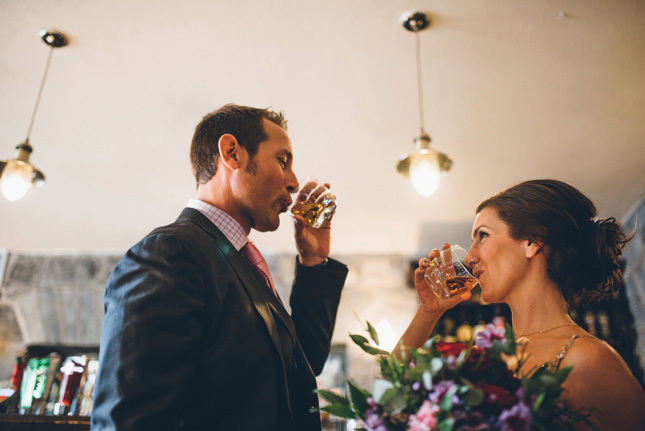 "I absolutely love weddings, and as a wedding planner, it's hard to believe I'm saying this, but my advice after our wedding? 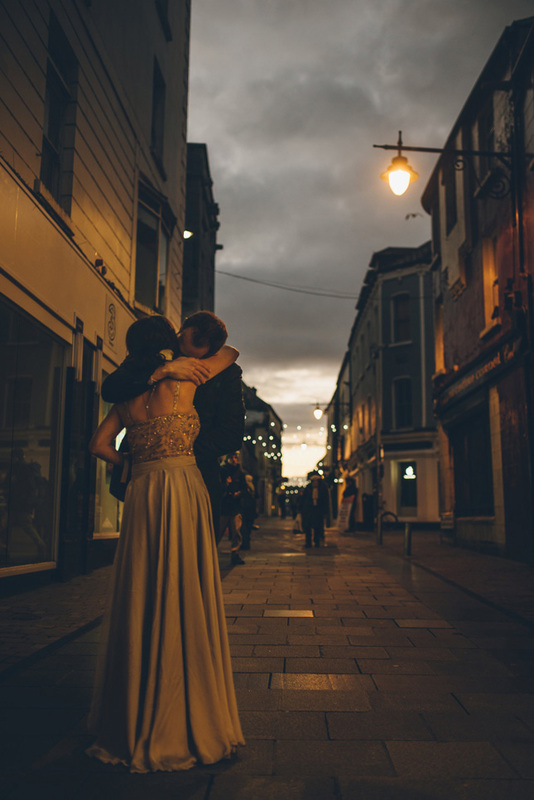 Elope! 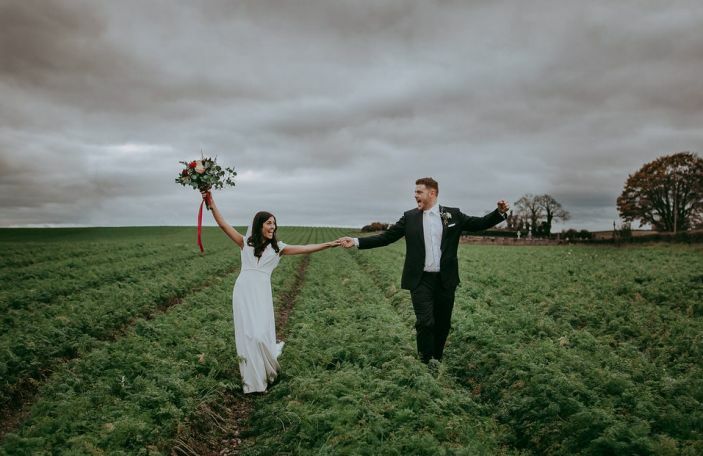 It was so wonderful to spend the day together, just us, celebrating our relationship without the worry and stress of hosting and entertaining."